The energetic swing movement was born in the Savoy Ballroom of Harlem, New York, at the end of the 20s. It had its greatest splendor in the 30s and 40s, in the famous “Era of Swing”. Between 1910 and 1920, in the African-American community, the roots of swing dances were forged by spontaneous dancers who enjoyed dancing to the rhythm of the piano chords of the Ragtime, Dixieland and Jazz. The moves evolved into one of the most well-known dances of the swing, the Lindy-Hop. After that, the dance legacy became richer with styles like the Jitterbug, Balboa, Shag, Jive or Charleston. You probably felt a kind of vibe when you listened for the first time to the music of Glenn Miller, Ella Fitzgerald or Louis Armstrong. You couldn’t help the subtle bounce that started to move your body to their beat. At one point, you stumbled across the swing dance, caught the bug and you went further with it to explore your curiosity. We started dancing around in coffee shops and tea houses, being just a handful of people who fell in love with the energy of Lindy Hop. 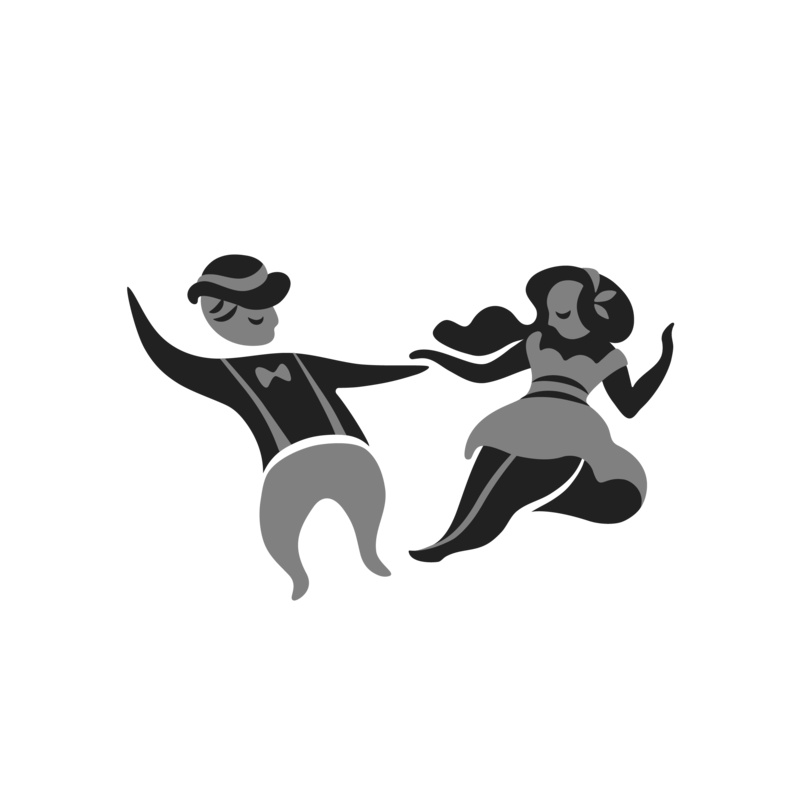 After a few months, we began dreaming about bringing more swing dance lovers to the dance floor. In 2017, we took it to reality and this is how Swing Steps Bucharest was born. We mixed enthusiasm with crazy dance moves and sprinkled them with laughter and fun. In just one year a new community of lindy-hoppers started to catch roots right in the heart of Bucharest. With lots of dedication and joy, we focus on growing the community through hosting classes, workshops, events, parties and festivals. Just check out our site & Facebook page and come dance with us, to see what our vibe is all about.